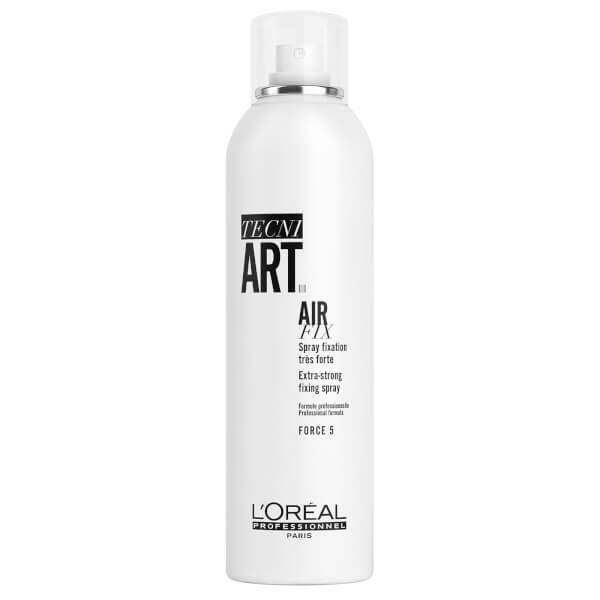 Achieve salon-worthy results with the L'Oréal Professionnel Tecni.ART Air Fix. Delivering extra strong, lasting hold and shine, the quick-drying hair spray allows you to achieve sleek, glossy locks without crunchiness. Spray over dry hair to lock your style in place. Spray 35cm away from hair. Spray on dry hair for extra strong hold and shine. Alcohol Denat., Dimethyl Ether, Acrylates / T-Butylacrylamide Copolymer, Aminomethyl Propanol, Ppg-3 Methyl Ether, Ethylhexyl Methoxycinnamate, Peg/Ppg-17/18 Dimethicone, Linalool, Limonene, Butylphenyl Methylpropional, Hexyl Cinnamal, Hydroxycitronellal, Benzyl Salicylate, Citral, Parfum / Fragrance. C22168/1.